As a craft designer, I produce any where from 10-15 new projects per month, and I’m always on the hunt for inspiring ideas and new projects to try. As a blogger, I’m also on the lookout for craft sharing sites that will help me promote my work. 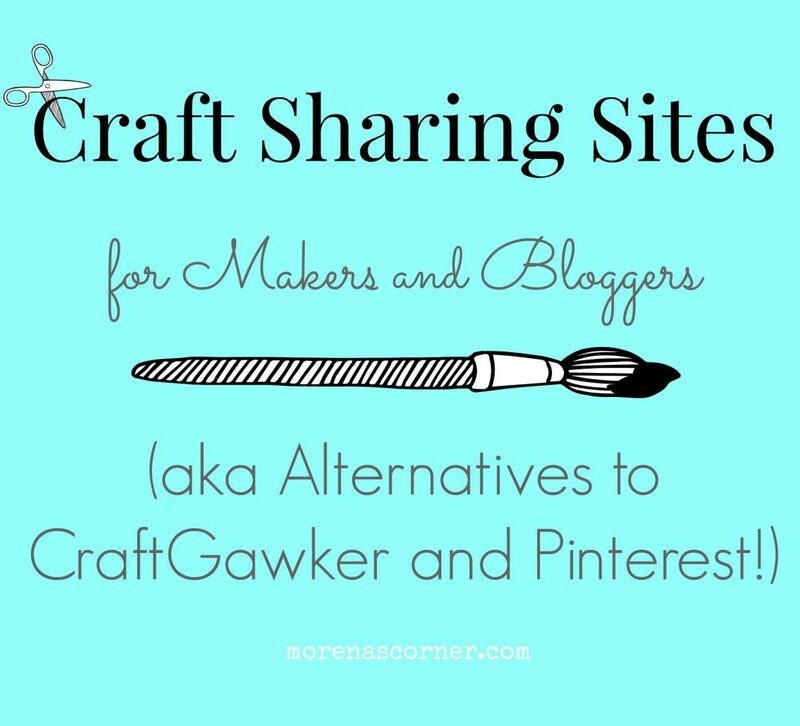 Fortunately, there are several excellent sites where crafters can share their work and where makers can find inspiration easily. Here’s a collection of my favorite craft sharing sites. Blitsy Inspiration. This is a new site that is taking off. The project submission process is straightforward: create an account, upload a photo, add a link and description. New projects are added daily, and the acceptance rate is much higher than similar sites. For you crafters, you’ll enjoy the gorgeous photos and crafts that are available on the site. Looksi Square. This project submission site updates less often, so it may take a few days to get your project on site, but once it’s up there you can enjoy a spot on the front page for several days. Again, crafters can find a lot of great projects from top notch craft bloggers. This site also includes categories for gardening and photography. Hometalk. This is an awesome site for DIYers and gardening enthusiasts. There are no jewelry projects or recipes, but there are thousands of decorating ideas, building plans, and gardening tips. You can even pose questions to the community to get advice. It’s easy to create an account, and once you do you can clip projects to boards so you can find them easily. For bloggers, if the Hometalk team chooses to feature your post then get ready for loads of traffic! Be warned: their Facebook commenters tend to be VERY opinionated, so be ready for some interesting comments. The commenters on the actual Hometalk page are extremely supportive, in contrast. You can see my Hometalk page here to get an idea of what it looks like. Fun Family Crafts. 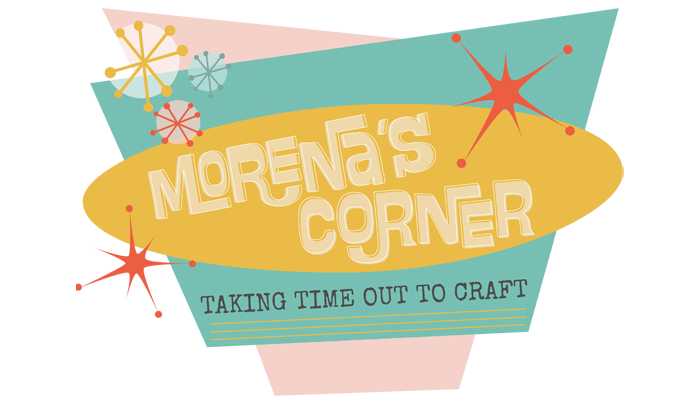 This site, run by Amanda Formaro, is a great resource for crafts for kids and teens. If you’re a parent or teacher looking for craft ideas that are budget friendly, this is a site to bookmark. Bloggers, you can submit your projects after you create an account. Amanda approves them pretty quickly, and the site receives a good amount of web traffic. StumbleUpon. This is another great tool for finding not only the best crafts on the web, but pretty much the best anything on the internet. History, art, comedy, cooking….you name it, there’s a category for it. I like to use the StumbleUpon app when I have a few free moments and only stumble posts in the “crafts” category. I’m never disappointed by what’s suggested to me. Bloggers, StumbleUpon can be a great source for traffic if you use it regularly. You have to contribute regularly (by stumbling and adding posts) to see returns on your investment. CraftFail. This is a fun site to head to when you’re tired of all the perfection on craft blogs. I’ll admit, seeing perfect tablescapes in perfectly immaculate homes can be a little discouraging from time to time, especially when your home is the exact opposite! It’s good to be able to laugh at our mistakes, and CraftFail lets you do that. I really enjoyed sharing and getting feedback on my worm jello fail. Knock Off Decor. This is one of my favorite sites. You know I loooooove a good designer inspired piece! Knock Off Decor is full of inspiring facsimiles of high end items. Saw something you loved at Anthropologie but can’t afford it? Check out Knock Off Decor for the DIY version. Bloggers, there is a submission form for you to send in your projects, and Beckie usually replies within a day or two to let you know when the project will post. 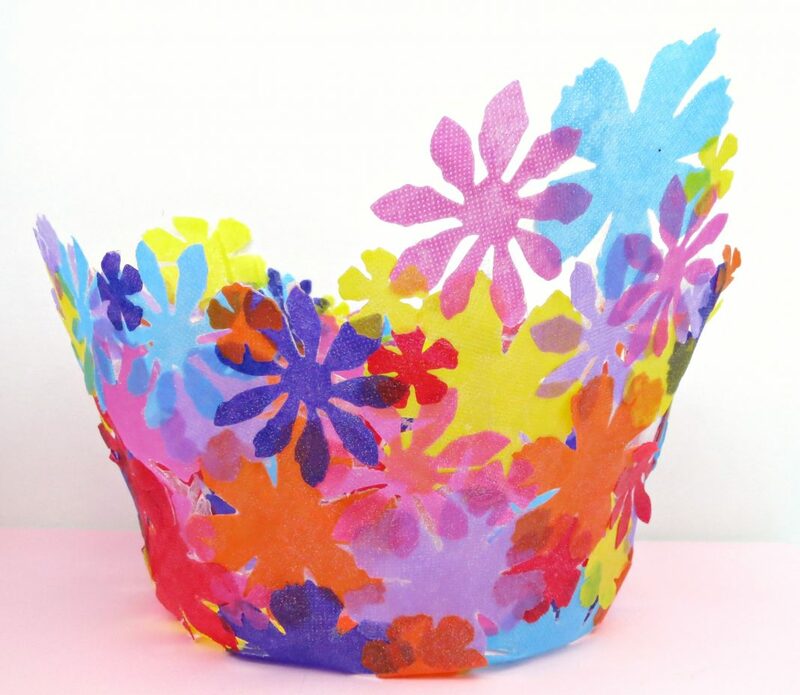 Copycat Crafts. Another really fun site dedicated to making DIY versions of designer store items. What I like about this site is it’s not just limited to home decor. You can also submit jewelry, accessory, and clothing copy cat projects! Inspiration DIY. I love that this site gives you the option of checking out projects based on categories. “DIY Gifts” is one category I go to when I want to make something special for a friend. It makes it easier to navigate the projects when you can browse by topic. Bloggers, the link to submit is easy to find on the front page. Creative Green Living. This one-of-a-kind site features eco-friendly crafts, recipes, and other “green” tips for living healthy. Click on the “Get Featured” link at the top of the page to submit your work. Kollabora. I’m pretty new to this site, but several of my crafty friends love it. They say that there is a sense of community at Kollabora. I look forward to checking it out more now that I have an account there. Craft Gossip. 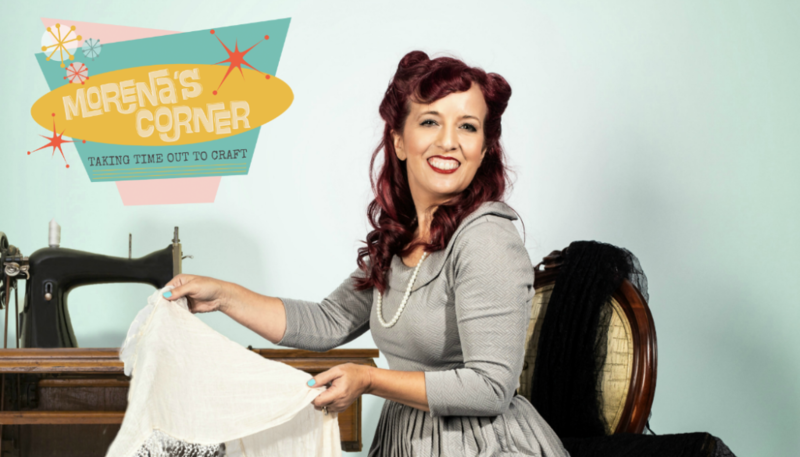 This site is a great place for keeping up with what is new and trending in the craft making industry. 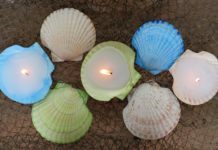 They feature lots of projects in different areas, including candle making and indie crafts! Bloggers can submit their work (click on “suggest a DIY”) to the appropriate editor for review to be included on the site. Geek Crafts. Just like the name says, this is a fun site for “geek” crafts, meaning if you get excited about Star Wars, video games, and anything that could be found at Comic Con, then you’ll enjoy these crafts! There’s also a page where you can submit your own geek crafts, but there’s no promise they will be posted. Crafts with Jars. As the name states, this site is all about crafts with jars! Jars are like the little black dress of the craft world: you can do SO MUCH with them. Just check out the site to see for yourself. If you want to submit a project to the site, click on “be featured” in the menu at the top of the site. Ouch, right? I’ve developed a thicker skin over the years, but this comment felt unnecessarily rude. A veteran blogger once told me that “Craftgawker is for masochists” and, boy, was she right! CraftGawker is a beautiful site to look at, and I do still visit it from time to time to find new ideas, but I rarely submit to them anymore. They have the right to accept whatever projects they want on their site, and I have the right to step away from the “mean girl” critiques. If you choose to submit to CraftGawker, just be aware that they are extremely particular about which images they choose to feature. I’d be happy to add to this list of craft submission sites if you can suggest some more to me! Leave me a comment with a link to your favorite sites, and I’ll check them out. I hope this list introduces you to some inspiring crafting sites where you can find ideas for your next project. If you’re a blogger, maybe this information will help you get your fabulous DIYs in front of a bigger audience. Either way, have fun crafting and creating! I agree CG is for masochists! Thanks for adding Craftgossip.com to your list we are honored. Your reader might like our sister site Craftbits.com where they can submit their tutorials in exchange for link backs and bios. Thank you! I’m a big fan of your site! I will add the other site, as well. Thanks for letting me know! Thanks for compiling this list – I’ve bookmarked all of them! 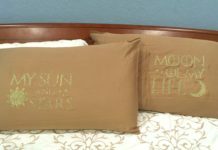 I’ve already started looking at some of the “new to me” sites like inspirationdiy.com and have already found fresh new blogs to add to my Bloglovin’ list. Craftgawker has confused me this past year. I even posted about it on FB. Recently they’ve posted wire formed letters from the same blog – the same craft but different letters every few days (but pretty photos!). The quality of DIYs is also spotty. I don’t look at Craftgawker much, but if I do, it’s to find new blogs. I’m glad the list was useful! Your tumblr is awesome and you have such a good eye for finding great projects. I agree about CG…the emphasis is more on great photos while the DIY quality isn’t as high. this is an awesome list! i love it!!!! Thank you so much, Morena, for compiling this informative list! I love submitting projects and there are some here I didn’t know about! Hot dang! I gave up on Craftgawker sometime ago pretty much for the same reasons you stated and Hometalk has provided me with unbelievable traffic along with a lot of snippy comments I try to receive with humor. Thank you! You’re a Hometalk star…I love seeing your projects there. Great list Morena, including some “new to me” sites. Thanks for putting this together! That’s right…focus on the positive! This made me laugh… Craft Gawker is the WORST. I was submitting over and over and kept getting rejected. I am baffled about why I get rejected because it’s so vague. Finally I gave up. Not worth wasting time if I get discouraged about blogging whenever I get rejected! 🙂 Thanks for this resource. Yes, CG is maddening! Hopefully some of the other resources I listed will be more helpful for you! Such a great post, Morena!! I agree with you on so many of these…Hometalk, for me, has been so great for my traffic, and I love Knock Off Decor, too. I tell everybody how humbling CraftGawker is. I have just as many rejected posts as accepted posts. And let’s not talk about FoodGawker…I’ve submitted about a half dozen times and still haven’t made it in. Oh well! Best to focus on all the amazing sites out there! Hey Morena, This list is awesome! I have submitted my craft in kollabora and craftgwaker. and I admit that sometimes its difficult to submit in craftgawker. Morena have a look at my crafts at http://stylenrich.com/how-tos/do-it-yourself-videos-diy/easy-paper-craft-how-tos/ . Hope you will like my collection.